802.11ac, 802.11ac wave 2, 802.11omg! Could we maybe get some different names for this stuff? No! Next question! May the power of the IEEE smite you down for heresy! Fine, fine. So 802.11ad – what’s the deal here? 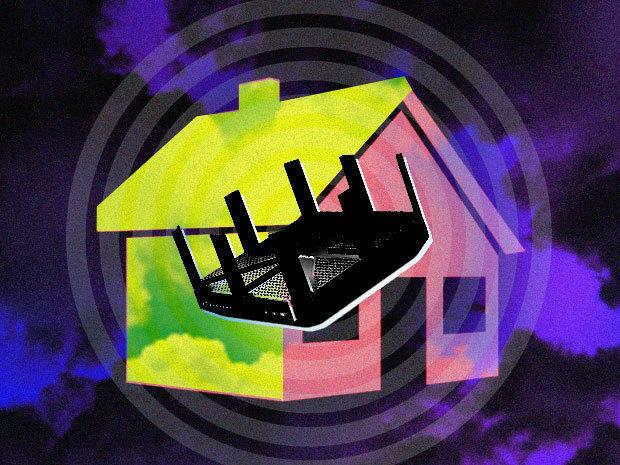 Well, now that you’re being civil, I’ll tell you – 802.11ad is, yes, a new wireless standard that uses the 60GHz spectrum instead of the 5GHz and 2.4GHz used by most Wi-Fi connections today. It boasts a theoretical max speed of 7Gbps, vs 3.2Gbps for 802.11ac Wave 2. So you’re saying it has more gigahertz? Why should I care about that? Here’s the thing about gigahertz – the more of them you have, the … oh, the hell with it, I’m not explaining this in a dumbed-down way. The much higher frequency of 802.11ad simply means that its signals can carry more information, which means better throughput, but that they also don’t propagate nearly as well as lower frequencies, giving a shorter effective range. Broadly, yes – it can theoretically handle multiple-gigabit speeds without breaking a sweat, and, as you probably already know, the world is a bandwidth-hungry place. But also, maybe not – its short functional range makes it problematic as a direct replacement for existing Wi-Fi. Look, it’s complicated, all right? Some experts think that we’re not really going to need our Wi-Fi to be as fast as 802.11ad when the rest of the network has a long way to go to catch up. Sure, there might be some particularly high-density deployments that could benefit from 802.11ad tech, but it seems more probable that it will mostly be a backhaul technology, acting as a wireless replacement for other parts of the network backbone. That’s potentially big, letting you do stuff like wirelessly provisioning access points. Cool. Where do I buy it? At this point, it seems like the only 802.11ad access point on sale is this one from TP-Link, and there aren’t many endpoints that can use the technology, either. The very earliest you’re going to want to worry about this is probably the second half of next year, if you work for a decent-sized IT shop. Smaller places with specific demands for a high-bandwidth, short-range access point should be the first to get to grips with 802.11ad. We’ll also likely see more OEMs come out with ad-equipped access points and more endpoints with the technology over the course of 2017.